Hello and welcome to PND's mid-month inspiration posts for the challenge blog! 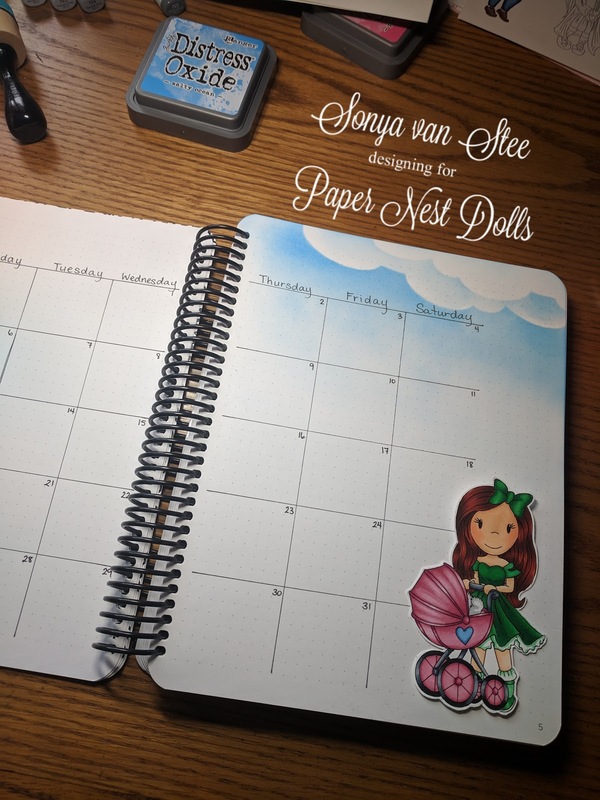 Today I'd like to share a planner page (gasp! something other than a card!) that I made using this sweet image, Strolling with Teddy. Isn't she just darling?!?! 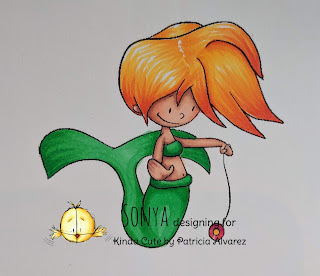 As usual, my medium of choice is Copic Markers. I started off with her skin, using E000, E00, E11, E21, and E93. 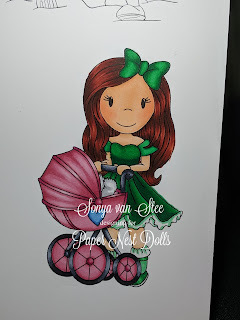 For her dress, I decided to try something different than my usual yellowy-green go-to combo (G09, YG17, YG13, YG06), so I went with the simple G's (Once again forgot to actually write them down, but I'm pretty sure G19, G05, and G09 were in the combination.) I am pretty happy with how it turned out. The pink carriage is done with R81, 83, and 85. No clue which colours I used for the hair, heart, or teddy, but you can really do any colours for those, right? I knew I wanted to created a new calendar in my Canvo Bullet Journal that my friend Jammie gave me for Christmas this past year. This time I decided to the full 2-page spread instead of the single page I did for March. I need room to write, ya know? 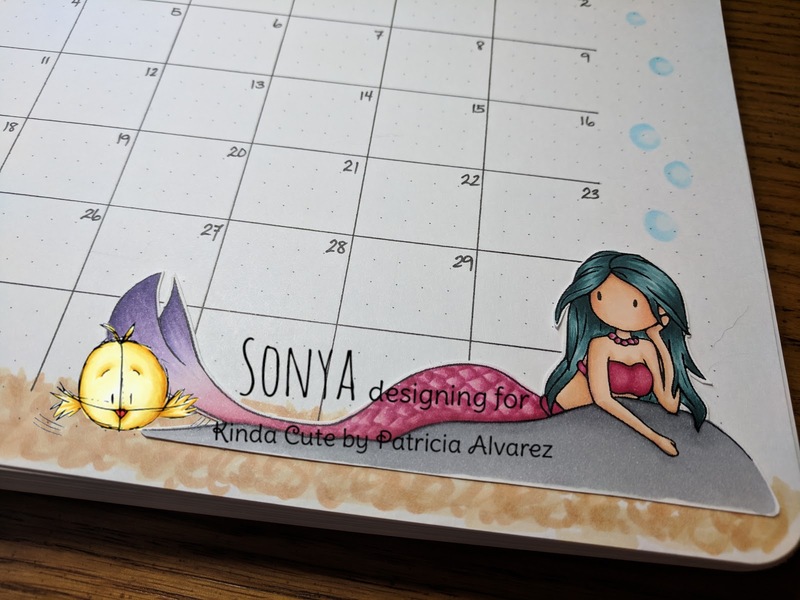 So I created my calendar with the little dots that make this journal so amazing... My little image looked super cute gracing the bottom right! 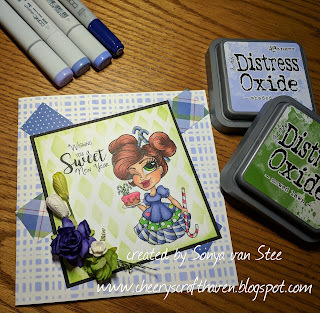 But the page needed a bit more, so I stenciled in some clouds with my distress oxide inks. I did the same to the opposite page for continuity, but it still needed something more... Maybe a path? or some grass? or how about a path AND some grass?! path and grass it is! To finish it off, I stamped the month on the top using some old Stampin' Up letter stamps I've had for years. Thank you so much for dropping by! 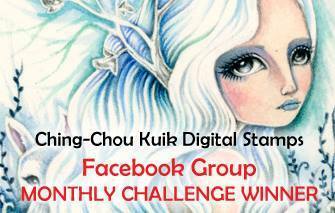 Feel free to play along in our Monthly challenge, which you can find HERE. 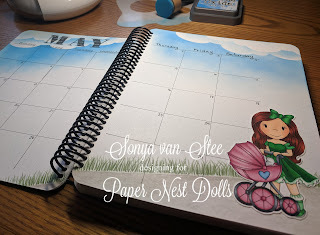 If you have any questions or want to know how to get a journal, or the cloud stencil, or anything else, drop me a comment and I'll get back to you as soon as I can! 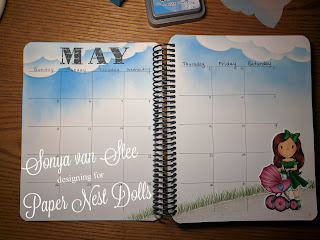 Joining the Paper Nest Dolls Team! Greetings and salutations! 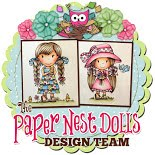 I'm very excited to tell you that I've been accepted as a new Design Team member for the Challenge blog of Paper Nest Dolls! 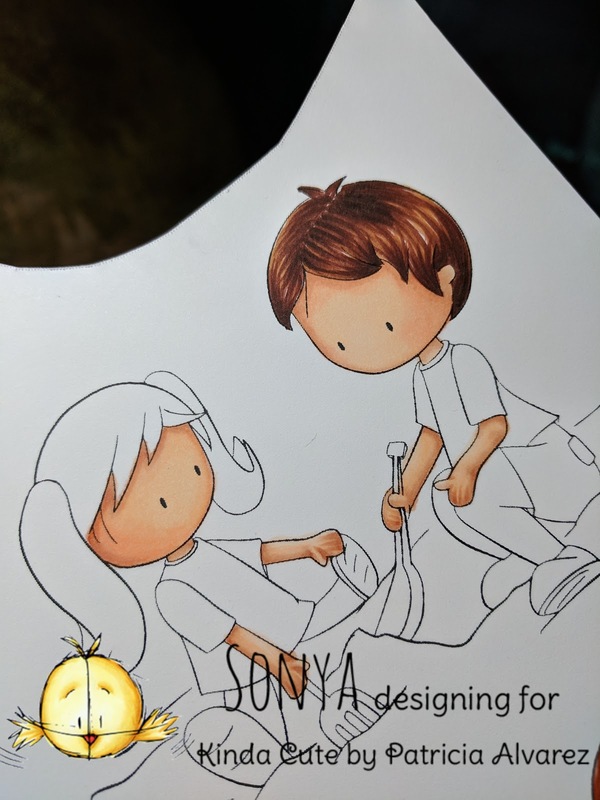 The creator of the images, Christine Young, draws inspiration for her images from her six children and creates super cute characters. Today I'd like to share Captain Owen, which you can find in the store HERE. Isn't he darling with his little dog and captain's uniform?! 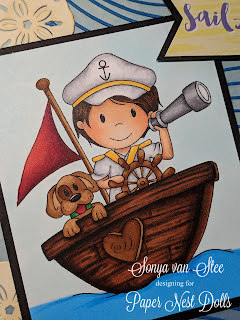 Total sidenote: I actually coloured him up while I was on a ship myself! I didn't write down which Copic colours I used, so I can't share that with you this time. One of these days I'll remember before starting on another image. 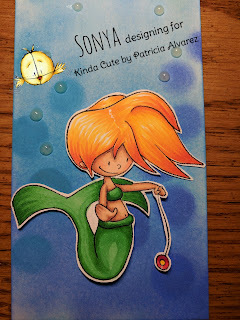 And here's my final card! 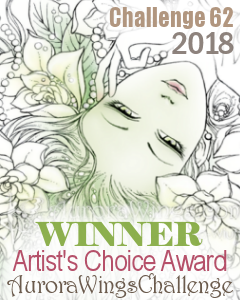 Nothing super fancy, as it's a boy card and because I wanted the image itself to really take the stage. I added a die-cut "waves" image behind, and a little sentiment that was part of a paper pack I've had for a while. 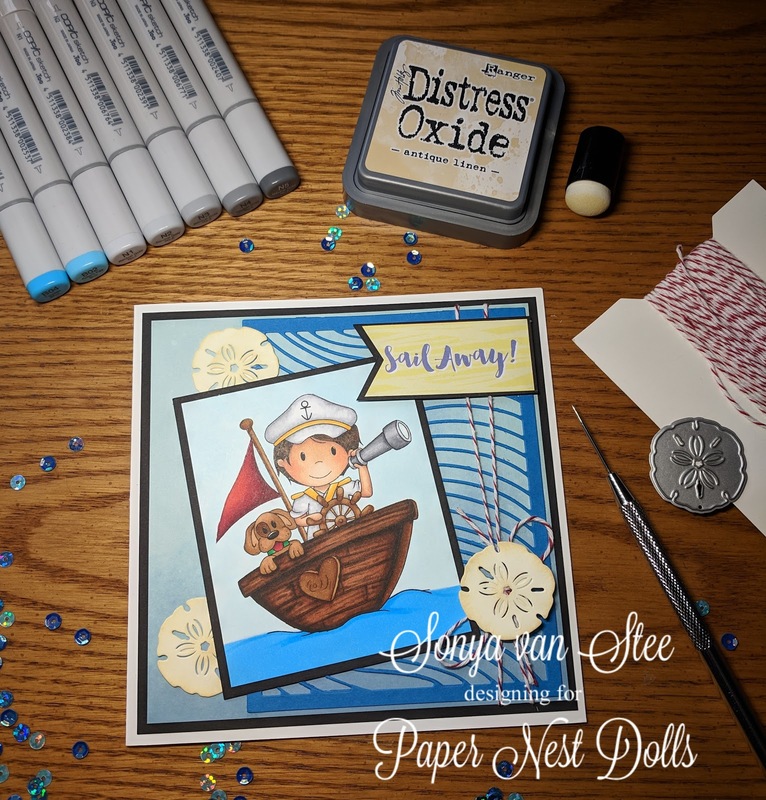 A bit of red and white twine to tie in the the sail/flag and finished it off with 3 little sand-dollar die cuts that I lightly sponged with Distress Oxide ink. And voila! Thanks so much for stopping by! 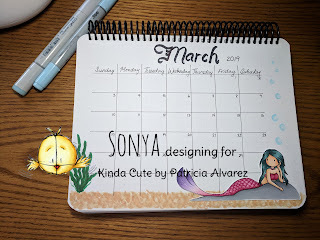 As March draws to its close, so does my guest designer position with Kinda Cute. It's been really fun to work with the super cute images and make projects for Patricia's team, so I hope I can do it again sometime! Thanks again, Patricia, for the opportunity! You've been great to work with! 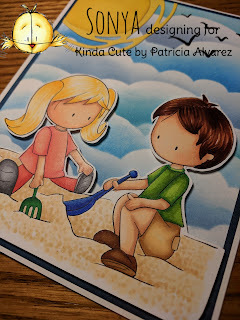 For my final project, I made a card using the image: Kids Playing with Sand. 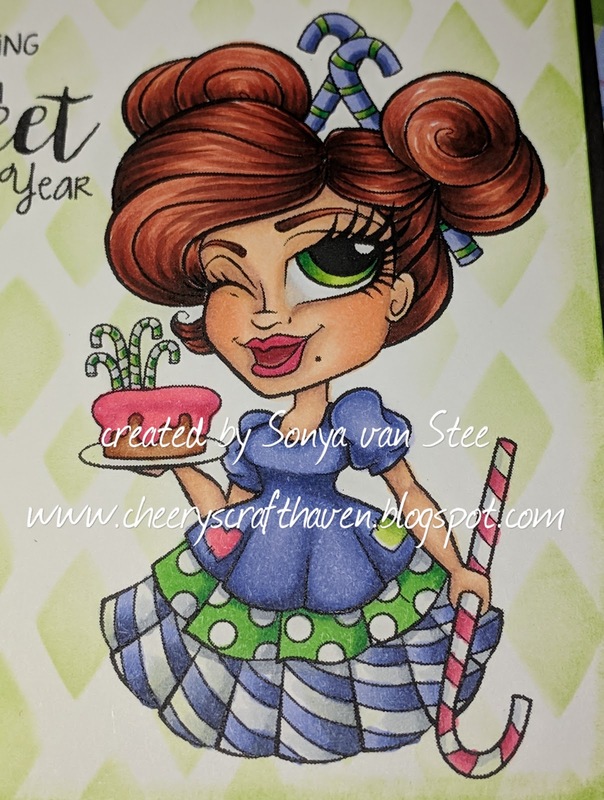 Since this is a digital image, I printed it out on Catherine Pooler paper - my all-time favourite paper for colouring with Copic markers. I started with the skin, using E000, E00, E11, and E93. Next I did the hair, but I don't remember which colours I chose. Imagine my horror when the darkest colour made a big blob on the top of the boy's hair! Oh well, mistakes are just opportunities, right? So I blended it as well as I could and added some darker portions in other areas of the hair to even it out. I think it worked out pretty well, don't you? I went for a blonde blend with the girl's hair, but it ended up MUCH too light, so I kept adding darker colours until I liked it. 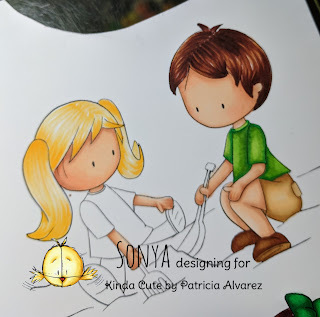 When I started the boy's clothing, I realized I had forgotten to colour his legs, so I did that first, then his green shirt and khaki shorts. 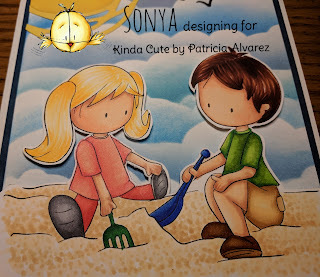 The challenge was picking colours for the skin and clothing that wouldn't clash or blend too much with each other or with the sand that I would colour later! The boy's shoes are the same colours as his hair, minus the darkest tone. The girl's outfit is R24, R22, and R21, with a touch of R00 in the highlight areas of the shirt. Her shoes are the Neutral grays, and I used N01 - N05. The sand came next, and I used the stippling method with E51, E53, and E55. And last I coloured the shovel with B's and the rake with G's. I fussy cut them out and mounted them with pop-dots to make them stand out from the background, which I created with the Krafty Scenery Stencil from Kraftin' Kimmie and 3 different blue Distress Oxide Inks. 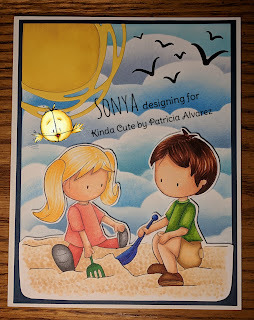 The sun is a die-cut image from Stampin' Up. And that's about it! 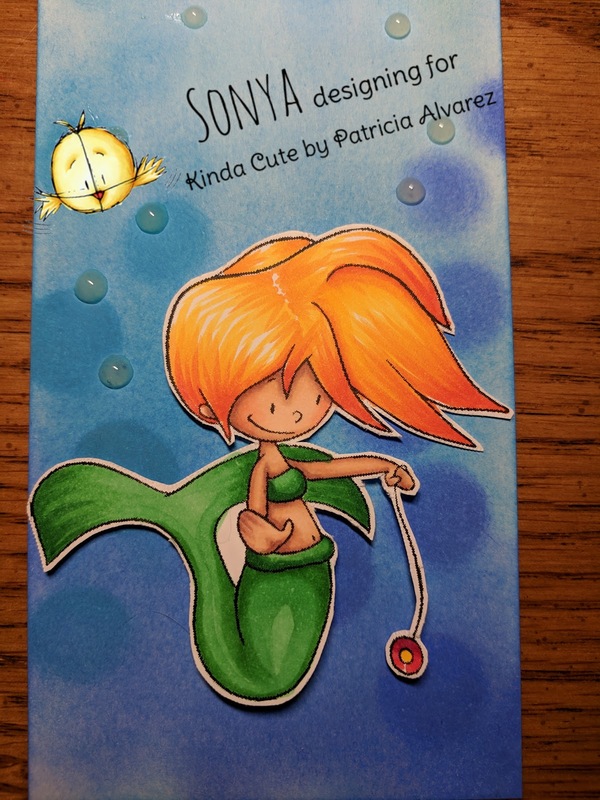 If you'd like to see more Kinda Cute Stamps by Patricia, join us in the FB group HERE. 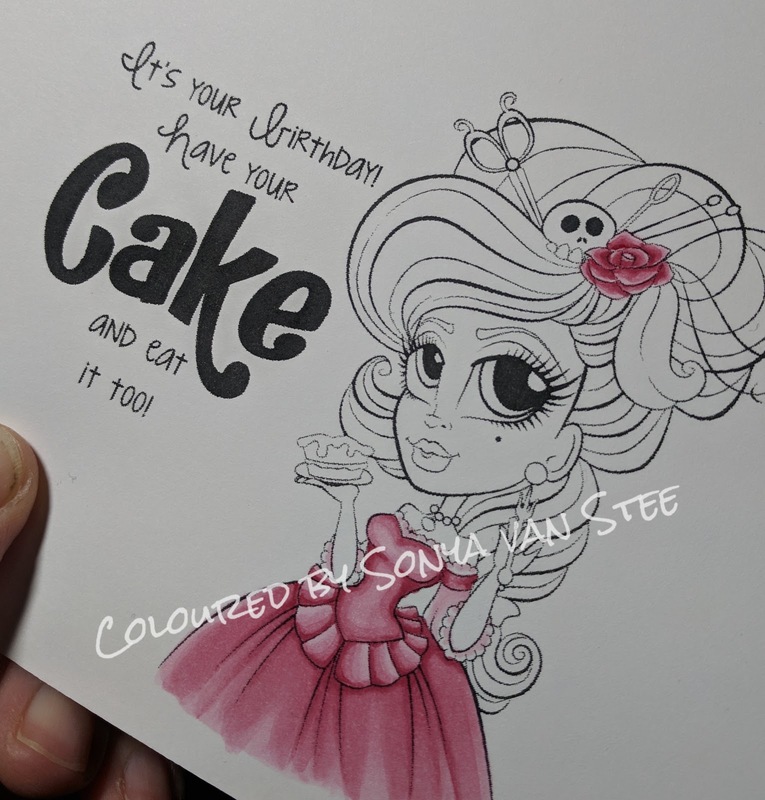 Betty Roberts has done it again - created a beautiful image for us to colour up for February's Progressive Challenge! 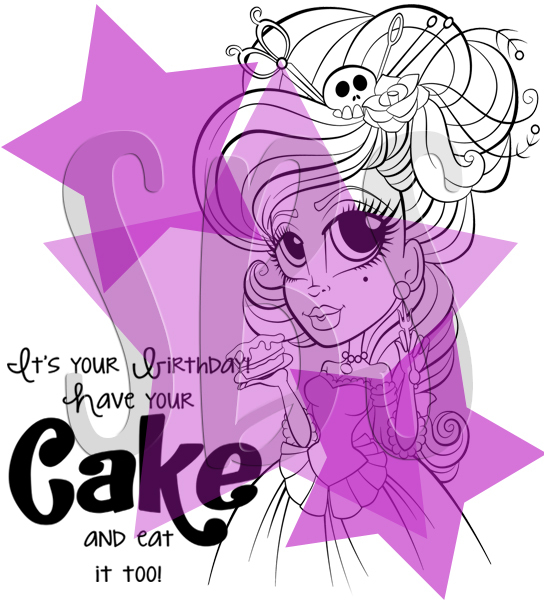 This digital image is called Mrs. Antoinette and can be found HERE. Isn't she gorgeous!?!? Each month we have the opportunity to join the Progressive challenge in the Simply Betty Group HERE on Facebook. Here are a couple of progress shots. I normally start with the skin first, but I was so excited to get to work on the dress that I ended up doing that first. I used Copic Markers - R81, R83, and R85 for the dress and her hair flower. The hair is the Blue Violet group, but I don't remember which ones I actually used. The skin is E000, E00, E11, and E93. 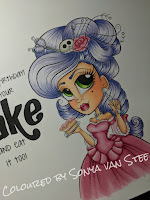 Sometimes after I've coloured up an image, I have no idea what I want the project to look like when I'm done. 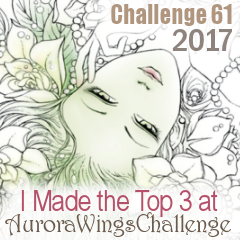 The only thing I had to include for the challenge was feathers. I fiddled around with quite a few layouts before I got it how I wanted. Here's a couple of different variations that I played with. And here's my final version. Which one do you like the best? Let me know in the comments. Thanks so much for stopping by! 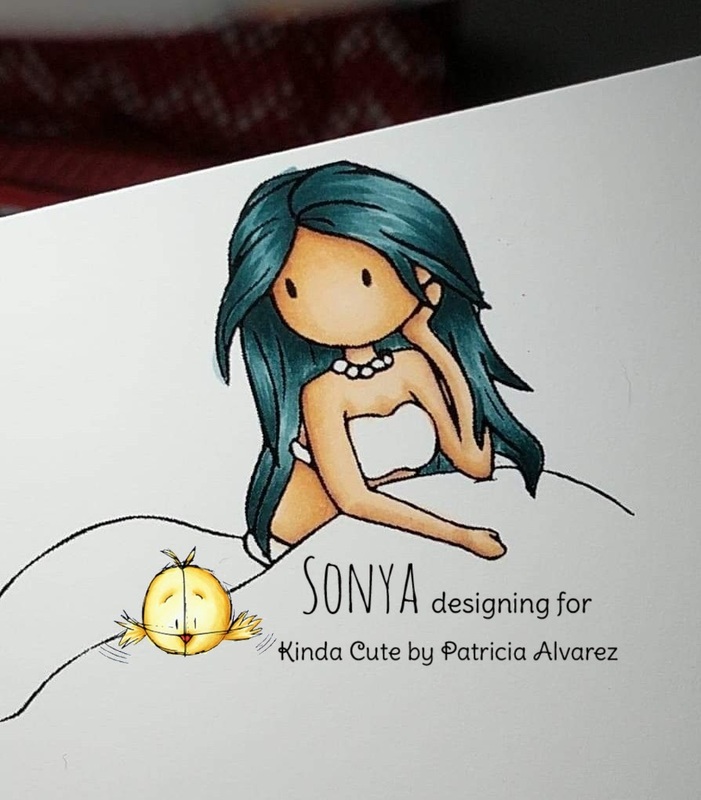 I always chuckle at the name Patricia chose for her business - Kinda Cute... I find her images are more than just "kinda" cute... they're downright ADORABLE! Today's project uses another mermaid called "Mermaid on Rock" which you can find HERE. You can get her either with or without a mouth. I used the "mouthless" version today. Using my Copics, I coloured the skin first. I rarely start with anything else, but it does happen. Just ask Jammie Clark from Sweet Sentiment... but I digress. And here's the final result! I've linked to the Kinda Cute store above, but Patricia also has a fun group on FB. We have monthly challenges, and sometimes there are freebies, games, and all kinds of stuff! Come join us HERE! Thanks so much for stopping by! I'll be back soon with another project! Oh my goodness, guys! I'm super excited to show you what I've been working on! 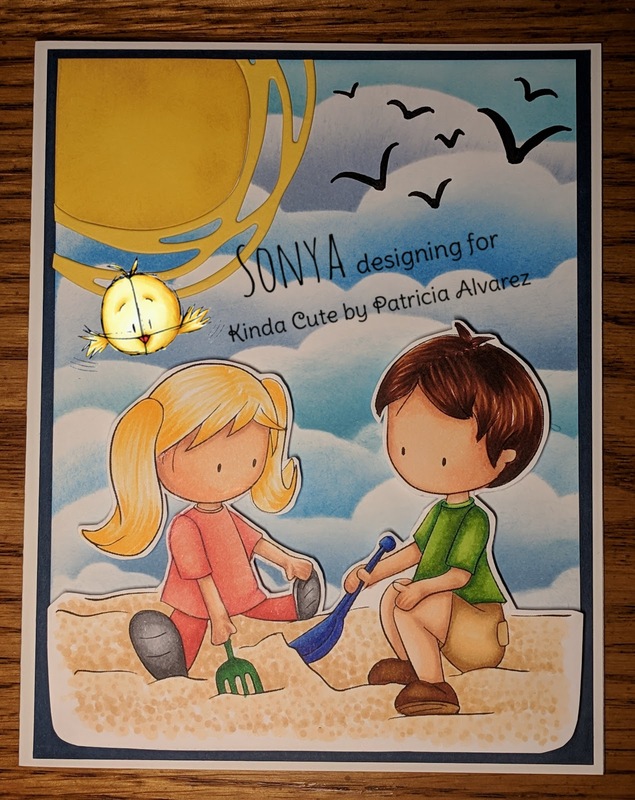 Patricia, from Kinda Cute by Patricia, has asked me to be a guest on her design team! 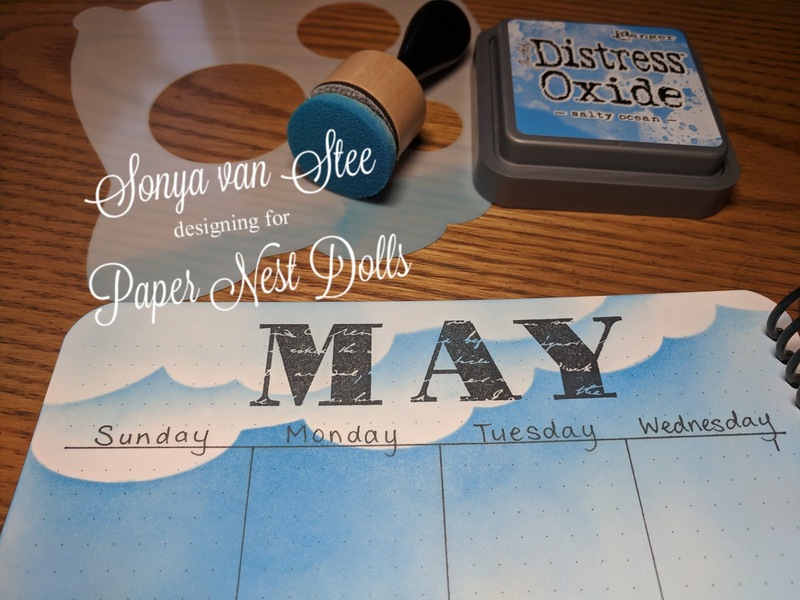 I'll be showing you 3 projects (just 1 today) over the next few days, with links where you can purchase them for yourself! And let me tell you, these images are SO CUTE!!!!! So... what kind of project should I make with her? 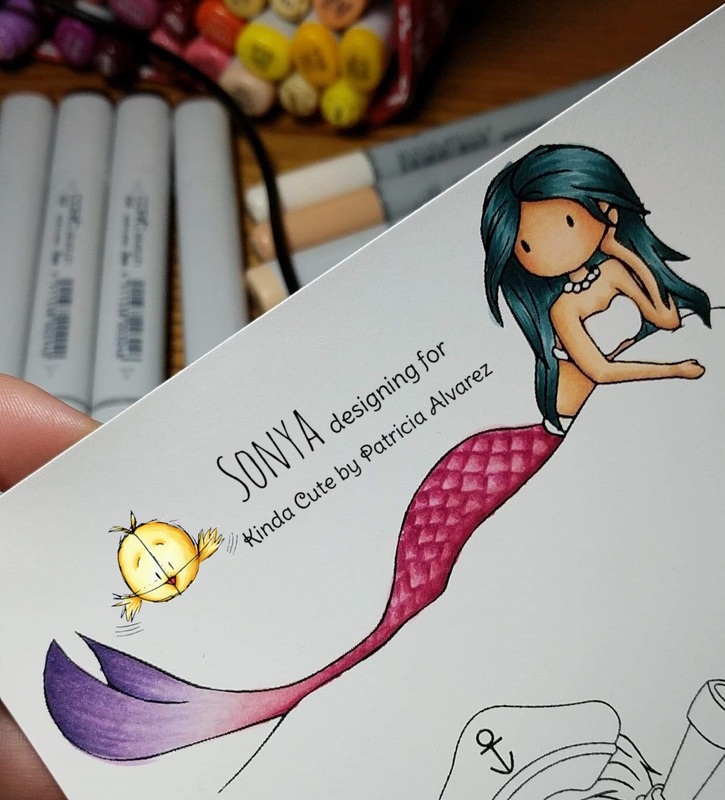 How about a bookmark? 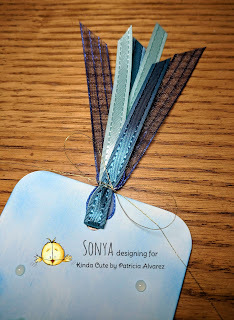 I grabbed a convenient scrap strip of white cardstock that was lounging on my desk and sponged it up with Distress Oxides in 3 different blue hues. 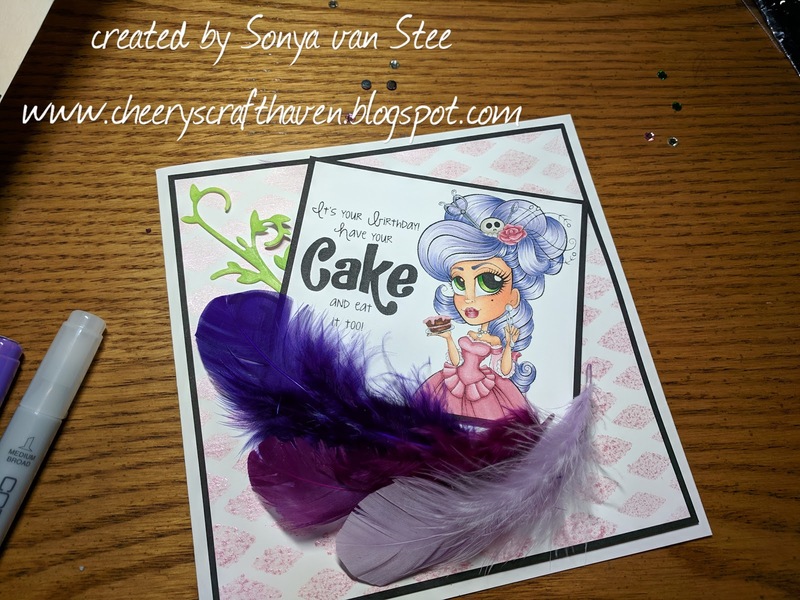 Sponge daubers created the "bubble effect" going up the sides, and then the little bubbles I created with little dots of Glossy Accents. So fun! I love how she stands out against the background. 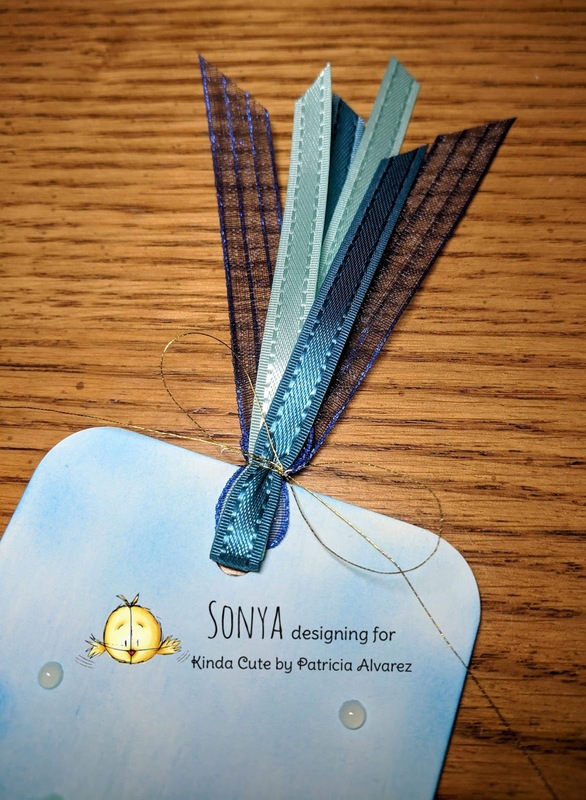 After that, I rounded off the corners, punched a hole in the top, and added a few different ribbons - tied with a gold thread. The ribbons are from my stash of Stampin' Up! ribbons that I've had for a long time now. They're so pretty, but I don't use them often enough. And voila! 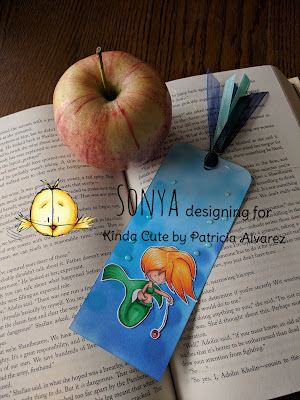 bookmark complete! Thanks so much for stopping by today! Please leave a comment to let me know you were here :) You never know - a commenter (either here or when I post it on FB) might receive said bookmark in the mail... And speaking of Facebook, come join the fun over at the Kinda Cute fan group! And speaking of fun... we're celebrating 500 members in the group with games and prizes and stuff! #didsomeonesayprizes? So, it's been quite a while since I posted. One word: Life. Oh well, I'm planning to change that and post more often. 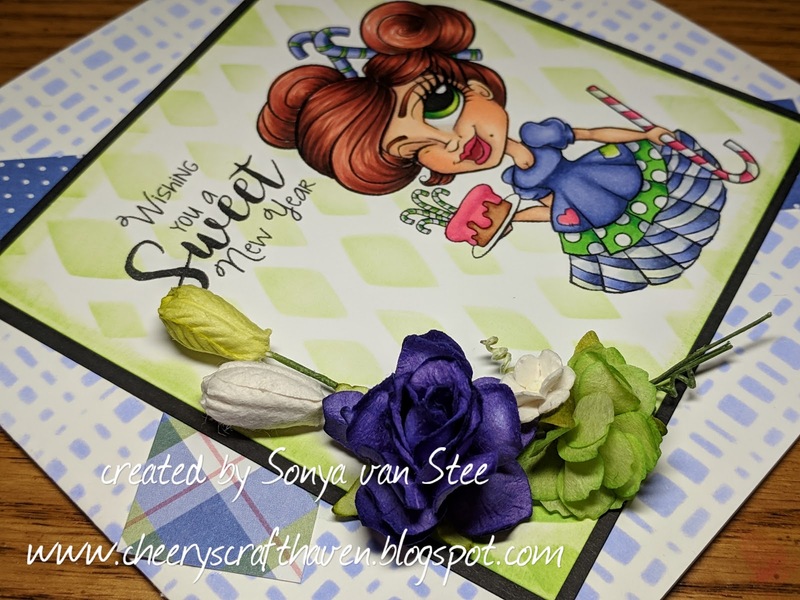 Today's post is all about Simply Betty Stamps and their progressive challenge. Each month we get a free stamp to use, provided we meet all the expectations from the previous month. 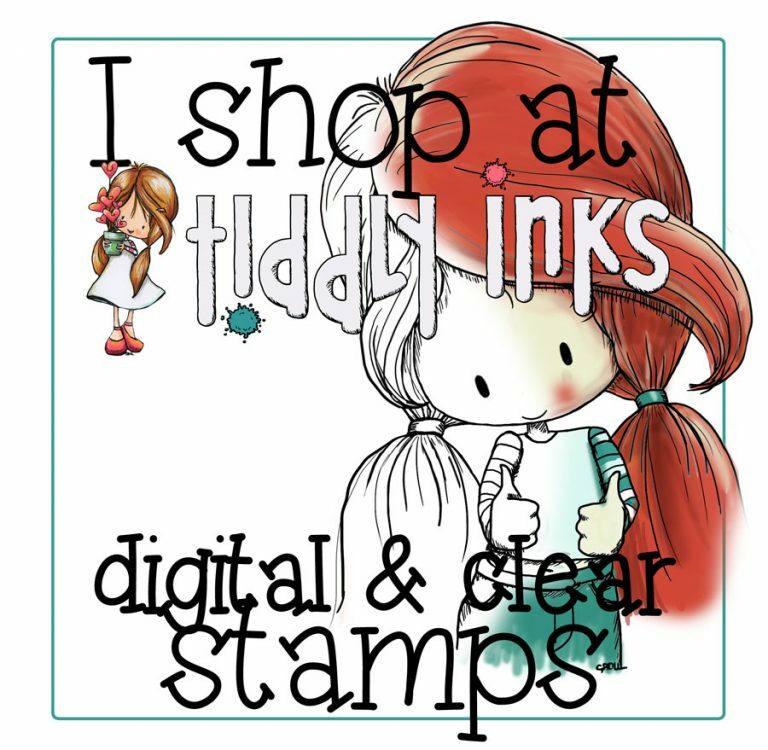 Nothing major, but we're getting a free stamp, so naturally, SBS would like us to spread the love around so others can discover their awesome stamps, too! Today I'm using Peppermint Betty, which can be found in the online store HERE. Isn't she gorgeous!?!? 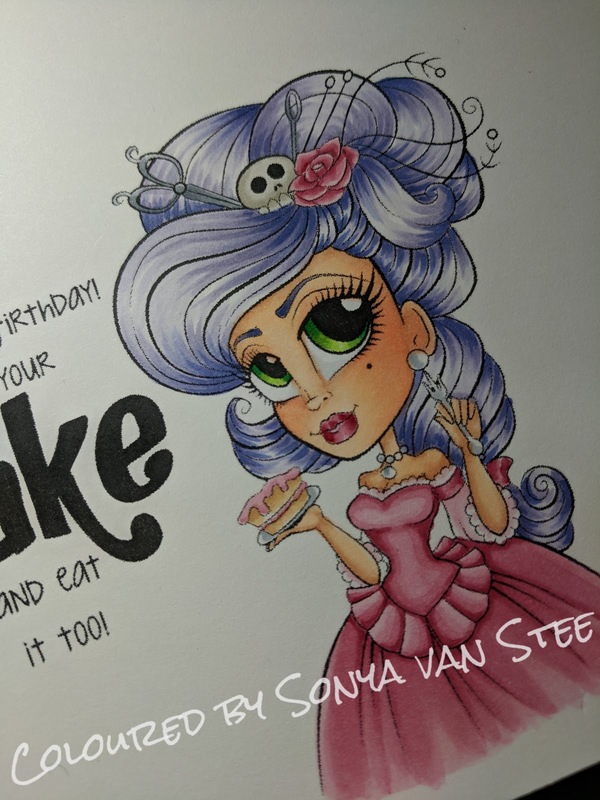 The challenge was to not use red anywhere, so I used pinks (RV29 and 25) for her lips, the large candy cane, and the frosting on the cake. I used another lighter RV but I can't remember which one. The purples are all from the V series, the darkest being V17 and the lightest is V02. I would give you all the exact markers if I could, but I put them all back with the rest of the collection and forgot to write down which ones I used. Oopsy! The flowers are mostly Wild Orchid, but I also used a little green one that I got from Petal Lu. 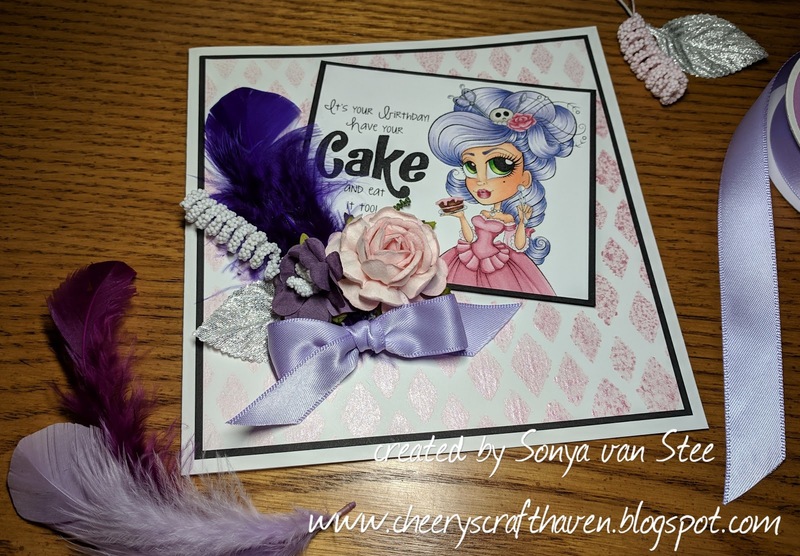 You can join her FB group (she does monthly challenges as well!) Lucinda makes gorgeous flowers of all kinds in every colour imaginable... all by hand! The background papers are sponged with Distress Oxides over stencils, and then I added a couple strips of designer paper for some contrast and interest. The paper is from BoBunny. 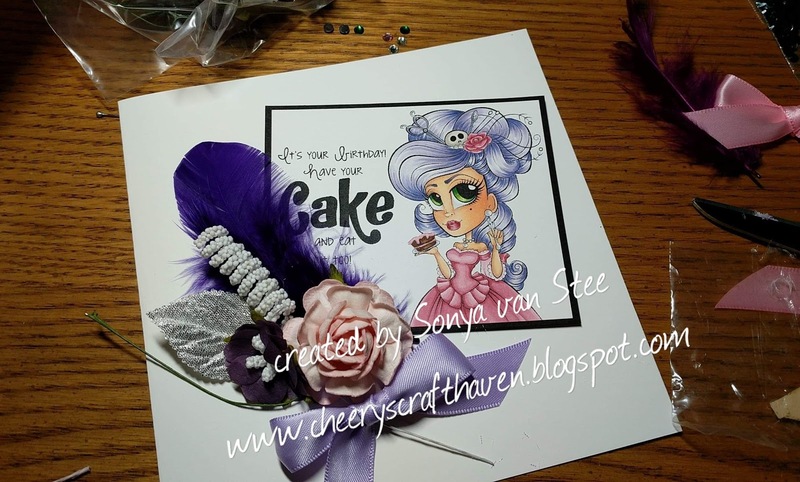 The actual paper that I coloured on is Catherine Pooler paper, and I coloured using Copic markers. Thanks so much for stopping by! 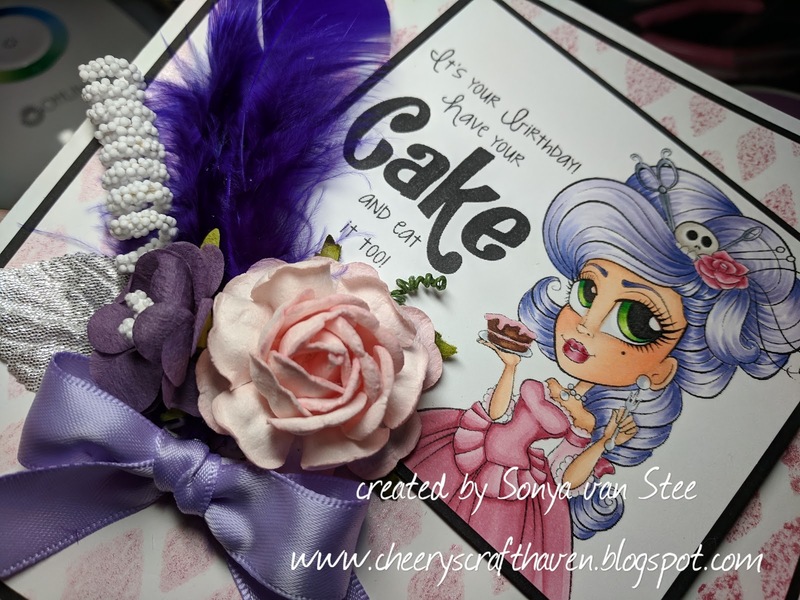 Feel free to pop over to Simply Betty's FB group and join in the challenge next month! 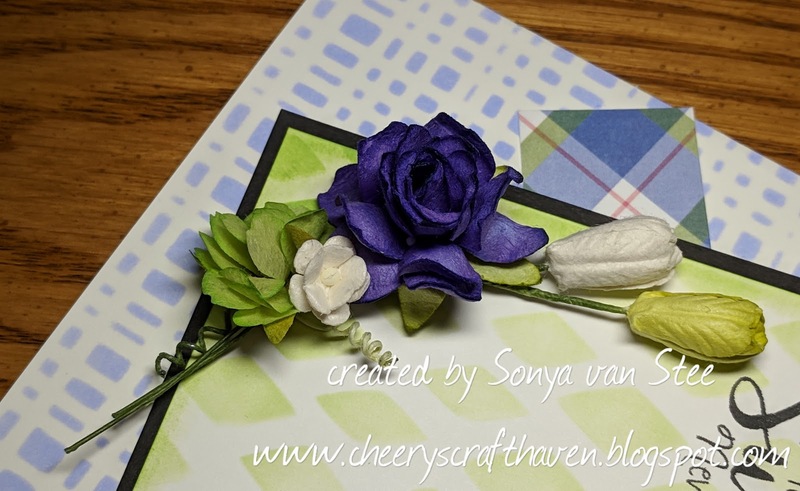 Day 2 of Kraftin' Kimmie's Krafty Peeks! Kraftin' Kimmie Krafty Peeks Day 1! Birthday Challenge at 7 Kids!